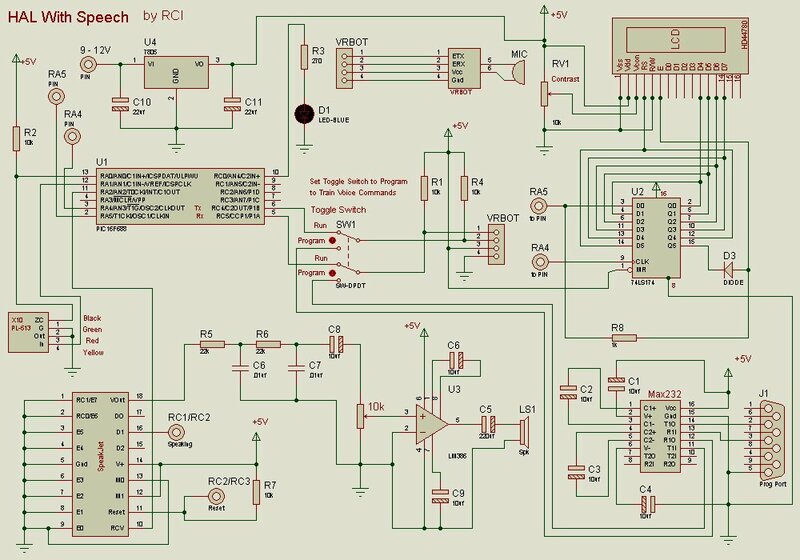 This Project uses a PIC18F45K22 or PIC18F46K22 MCU. Various LED Routines used for Demo. 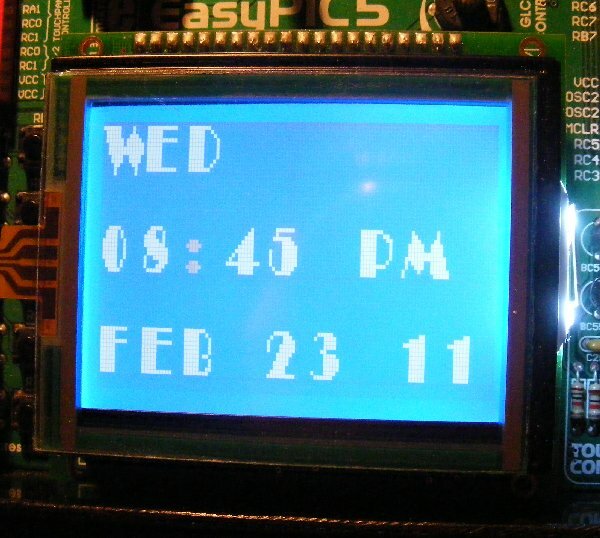 Source Code and Schematics provided here..
x10 Color TFT Touch Display Controller PIC18F4685. Coupled with the PSC05 PowerLine Transmitter the user can control X10 Devices via a Touch Screen. 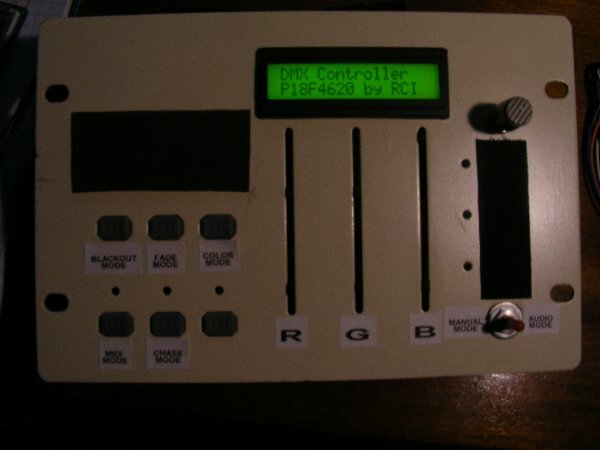 Click Here for DMX Controller Page! 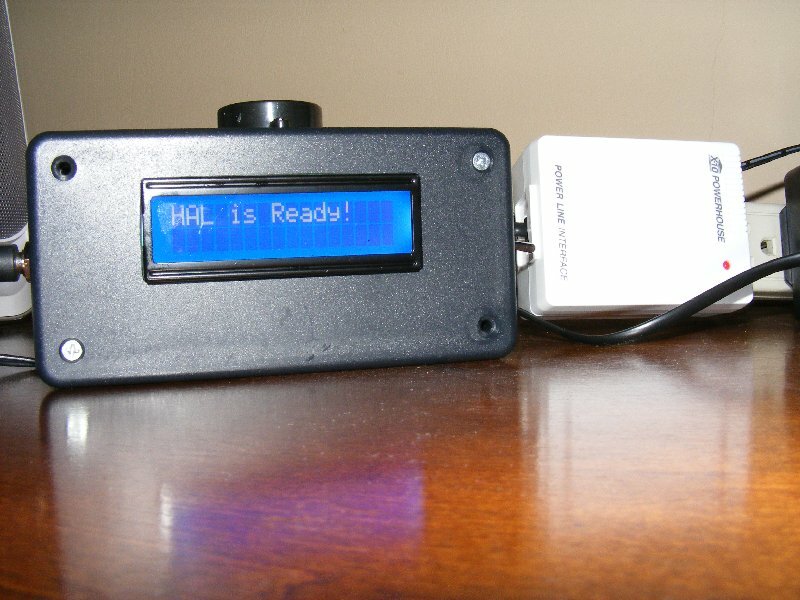 This Project uses a P18F4685 and the SpeakJet IC from SparkFun Electronics. 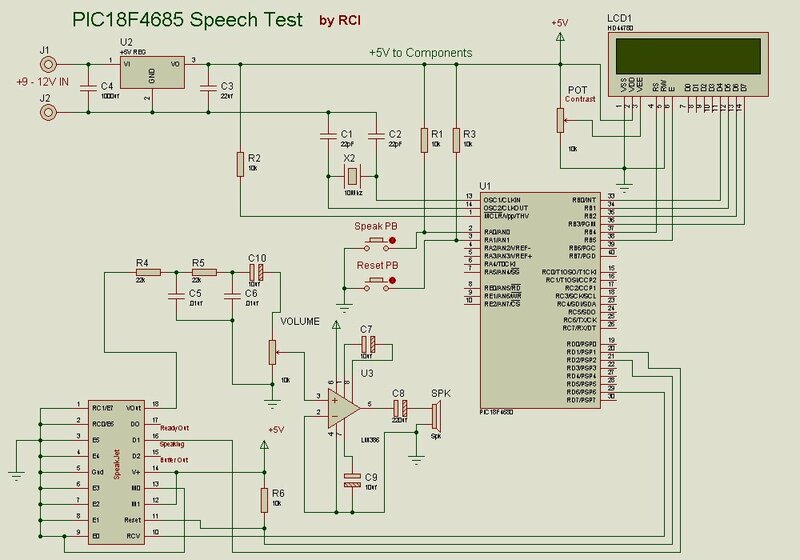 Source Code and Schematics provided here.. Includes Header Files for Phonemes and Simple Test Phrases. HAL the Butler with Speech! 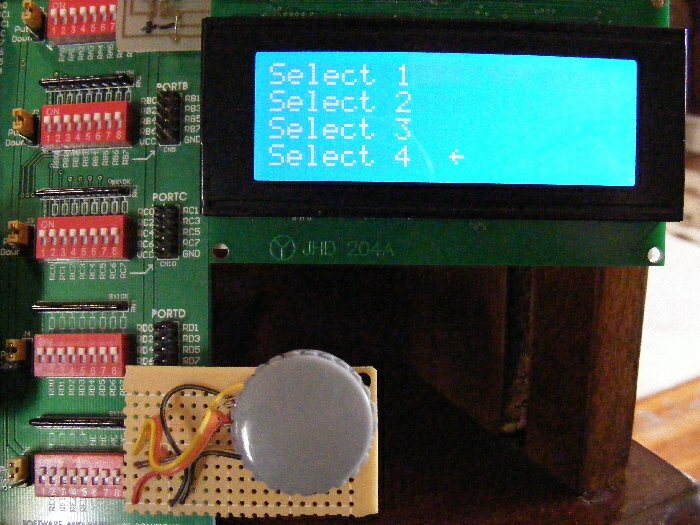 This project uses a PIC16F688 MCU and serial interface to communicate with the VRBot Module. 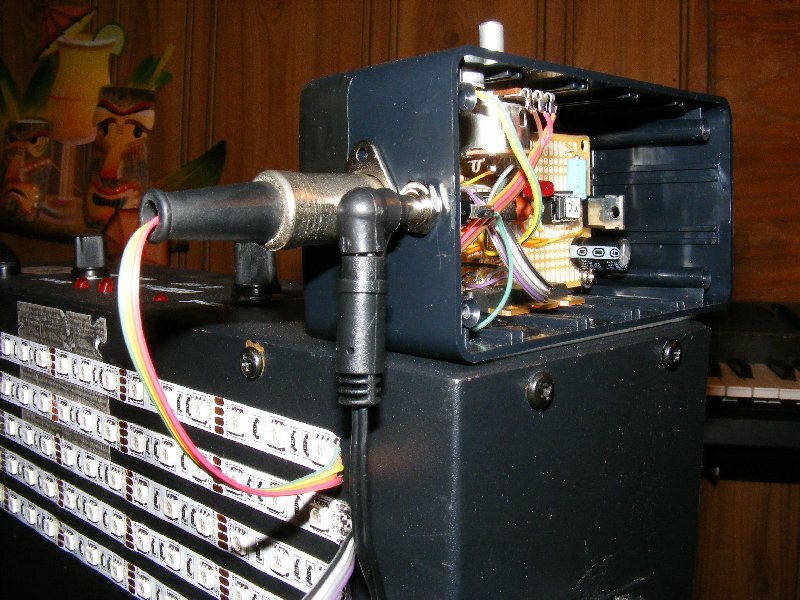 The voice commands are received by the VRBot, decoded by the PIC, and then Bit commands are sent to the PL-513 Power Line Interface. HAL acknowledges back with Speakjet. Schematics and Source code and Description can be found here. USB PIC and Visual Basic Demo for PIC18F4550. I just know enough VB to be dangerous. Written using Visual Basic V6.0 and MikroC V8.1.0. PIC12F683 Audio Triggered RGB LED Lights! 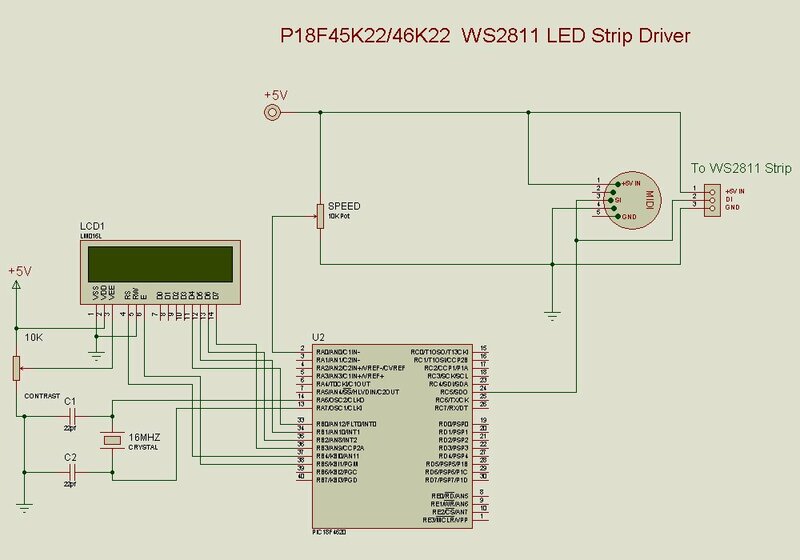 driver for RGB LED's. 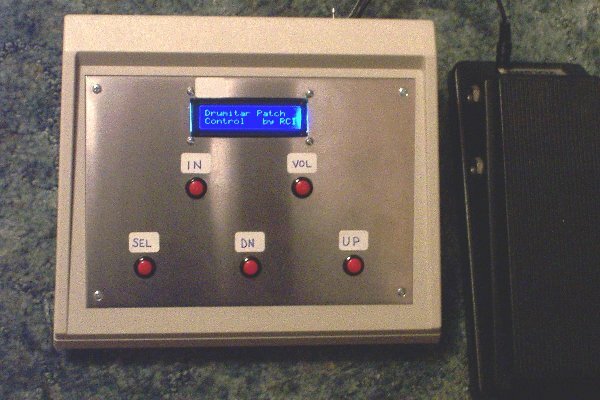 Click Here for DMX Controller Page! for P18F4620 and DS1307 in MikroC!! Uses PIC18F4620 and DS1307 RTC I.C. 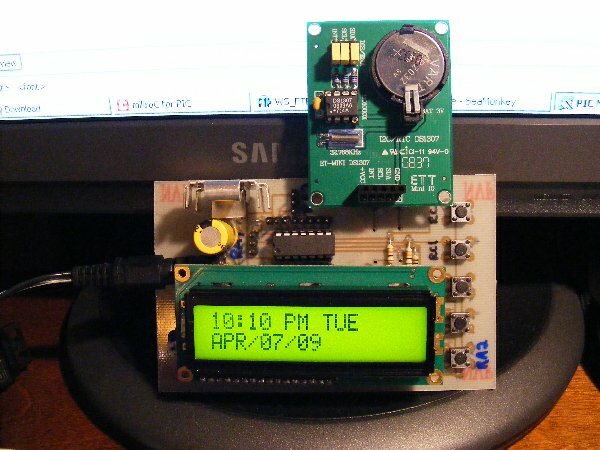 Time Sets with 2 buttons similar to a digital watch! for P16F887 and DS1307 in MikroC!! Uses PIC16F887 and DS1307 RTC I.C. Time Sets with 2 buttons similar to a digital watch! I also have PIC16F688 version if you are interested. Click Here for PIC Propellor project written in MikroC!! 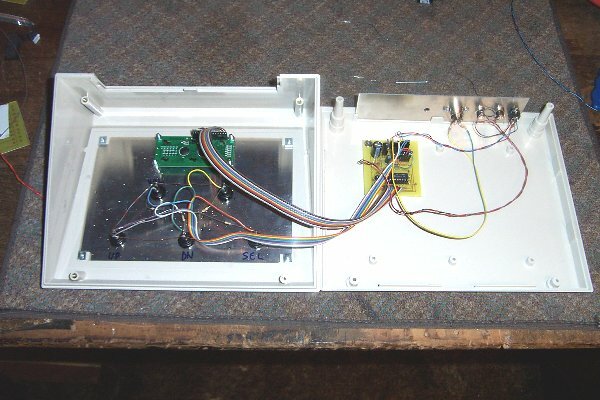 This project is a demo using a Quadrature Encoder (two inputs to PIC) with a built-in push button. 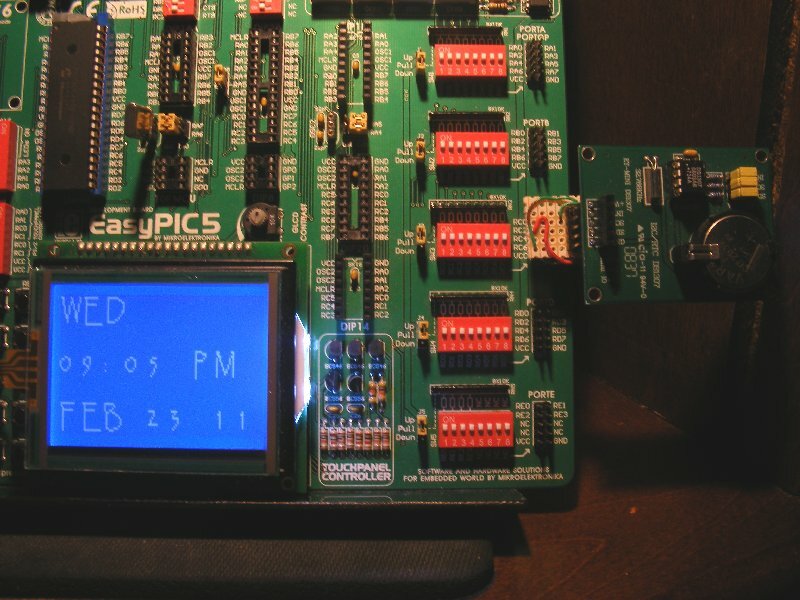 A 20X4 Character LCD and the EasyPIC5 Development Board was used for this Demo. A simple Menu structure is used. 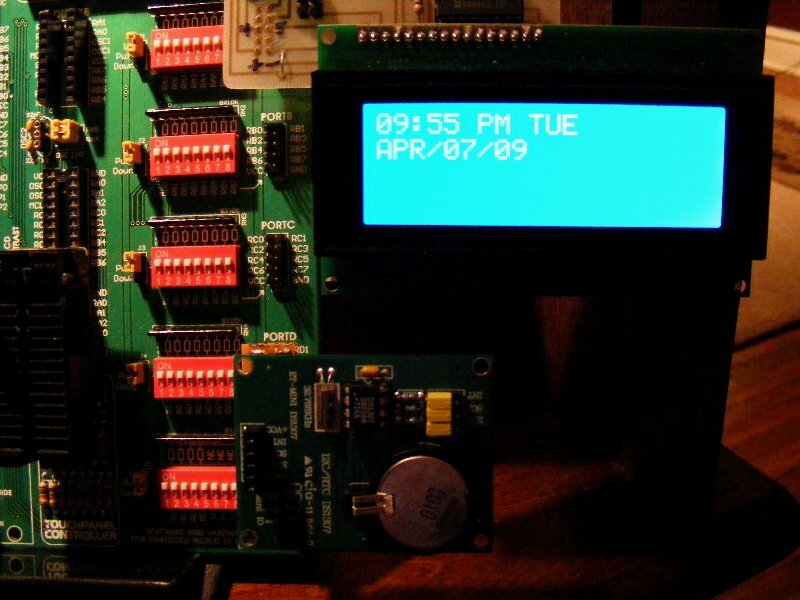 Just fill in your code for each menu selection..
connects to a 2 X 16 character LCD. 9600 Baud and +5V supply. 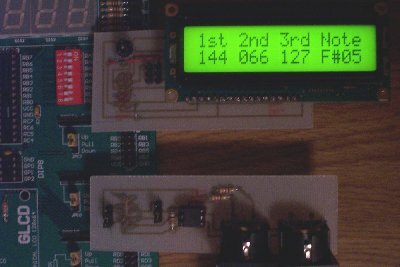 Includes String generators for Basic Stamp II and PIC16F887 with EASYPIC5 Board and PORTB LCD. 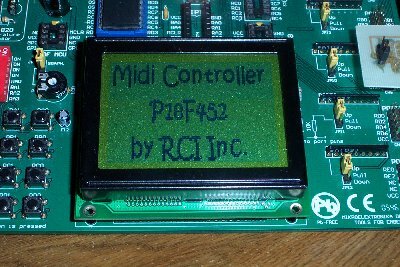 This MIDI Controller uses a PIC16F877A Micro and a 2 pin LCD Character Display. 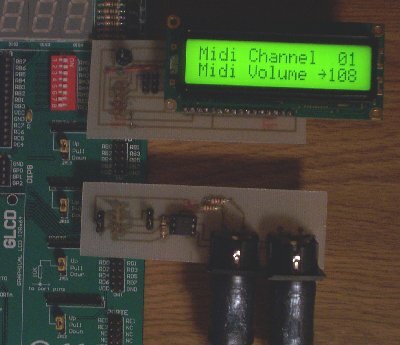 The controller generates MIDI messages each time a push button is selected. Transmits 16 Channels, 127 Program Change Messages. 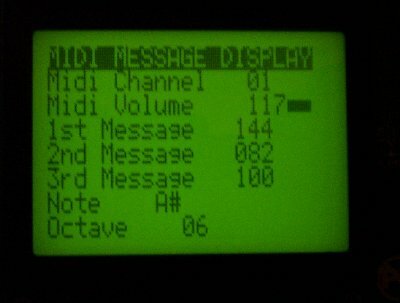 It also reads MIDI Data IN for troubleshooting, 3 Status Bytes and the Note Value. Uses Pedal Pot input for Midi Volume control. 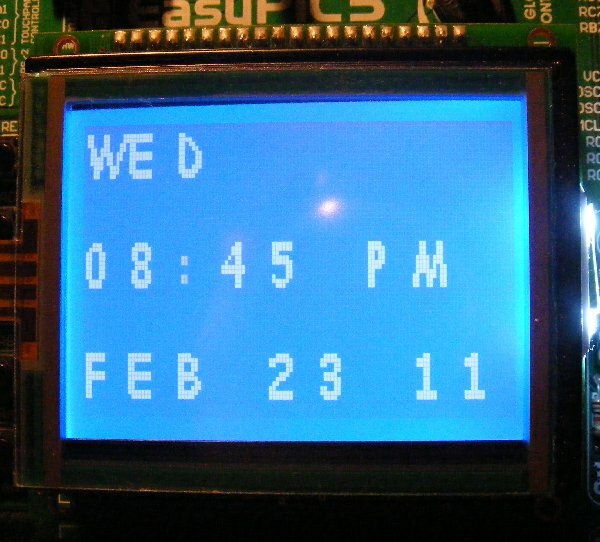 The pictures below show an LCD interface board as an information display. All source code is provided along with Schematics. 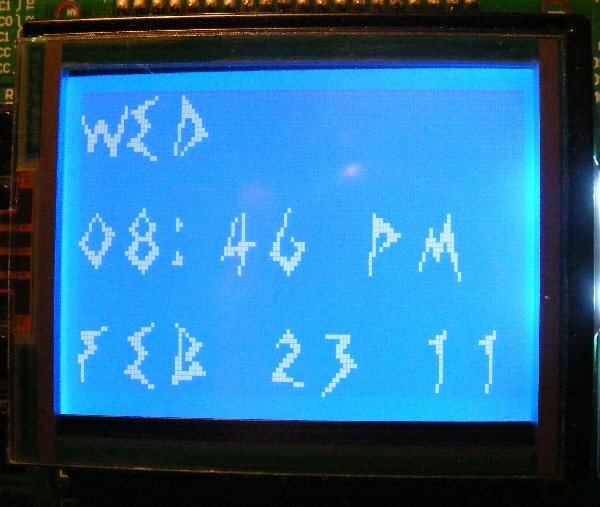 Download Source Code for 2X16 LCD Here! PIC16F688 for my Drumitar and Bass Pedals. Nice compact controller. It transmits on 2 Midi Channels and can control dozens of patches for each instrument. 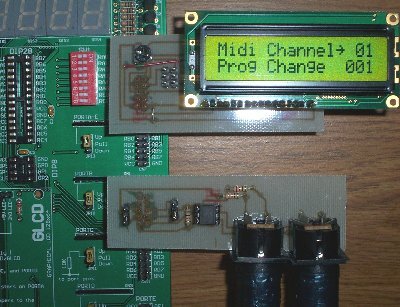 I also added 2 Volume Pedals which transmit Midi Volume messages to the synth modules. See below for Graphic LCD Version. Download Source Code for GLCD Here!